THE Yu-Gi-Oh! 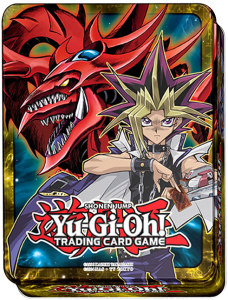 TRADING CARD GAME GOES OLD SCHOOL FOR BACK-TO-SCHOOL SEASON WITH TWO NEW PRODUCTS..
El Segundo, Calif. (September 7, 2016) – September’s going to be a blast from the past as new Yu-Gi-Oh! 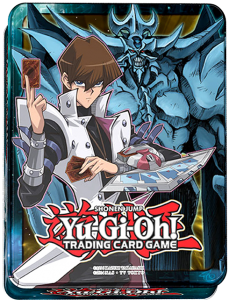 TRADING CARD GAME (TCG) products releases from Konami Digital Entertainment, Inc. (KONAMI) take Dueling back to its roots this fall. 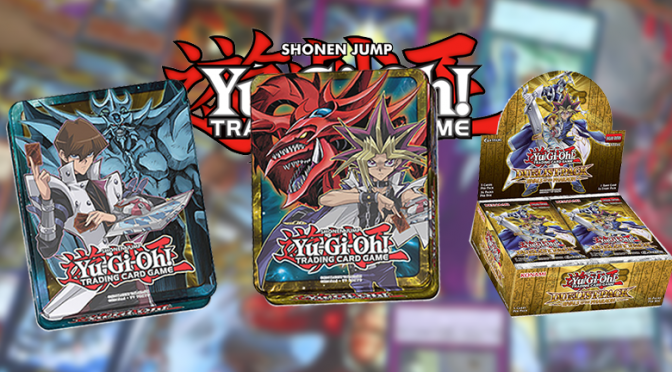 In the 2016 Mega-Tins and Duelist Pack: Rivals of the Pharaoh, heroic Duelists return to face their greatest rivals, and forgotten forces emerge from the original Yu-Gi-Oh! TV Series. Players will want to hurry to stores to get their hands on September’s leadoff product, the enormous 2016 Mega-Tins, which released on September 2. The 2016 Mega-Tins celebrate the original heroes of Dueling, Yugi and Kaiba … and they aren’t coming alone. 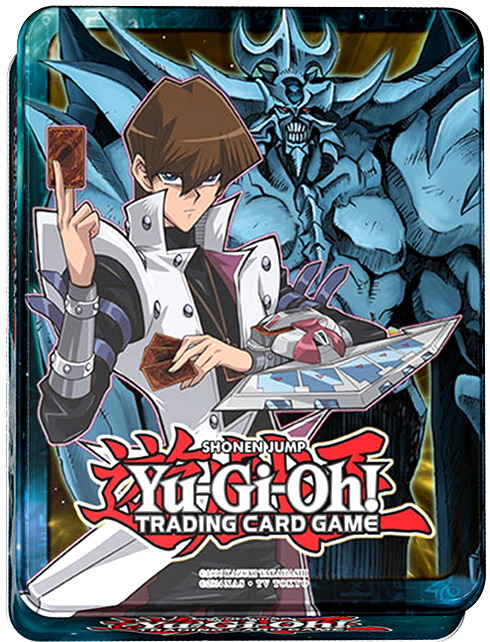 The Kaiba & Obelisk Tin features a Secret Rare Obelisk the Tormentor and an Ultra Rare Blue-Eyes White Dragon. And that’s just the beginning! Every 2016 Mega-Tin has three 16-card Mega-Packs highlighting the best from Crossed Souls, Clash of Rebellions, Dimension of Chaos, and Breakers of Shadow. And beyond the legendary Egyptian God Cards and signature Ultra Rares, each heroic Tin has four more foil promos – including a new Pendulum Monster, Aether, the Evil Empowering Dragon and a never-before-seen boss monster for D/D/D’s, D/D/D Gust King Alexander. Duelists will want to get both cool designs before they sell-out. Each Tin, sold separately, will be available at retailers nationwide for $19.99 MSRP. Duelist Pack: Rivals of the Pharaoh hits stores September 16, as the craftiest villains of the original Yu-Gi-Oh! TV series return with new tricks. Bakura’s long-awaited Dark Sanctuary makes the leap to reality – a powerful Field Spell that weaves dark victories with Destiny Board, and turns an opponent’s attacks against them. Kaiba’s Lullaby of Obedience lets Duelists play any monster from an opponent’s Deck, and Duelists will finally command Blue-Eyes Ultimate Dragon’s signature attack with the Spell Card Neutron Blast. Pegasus and Marik make a cameo, while Yugi battles back with new cards for his Silent Magician and Silent Swordsman monsters. 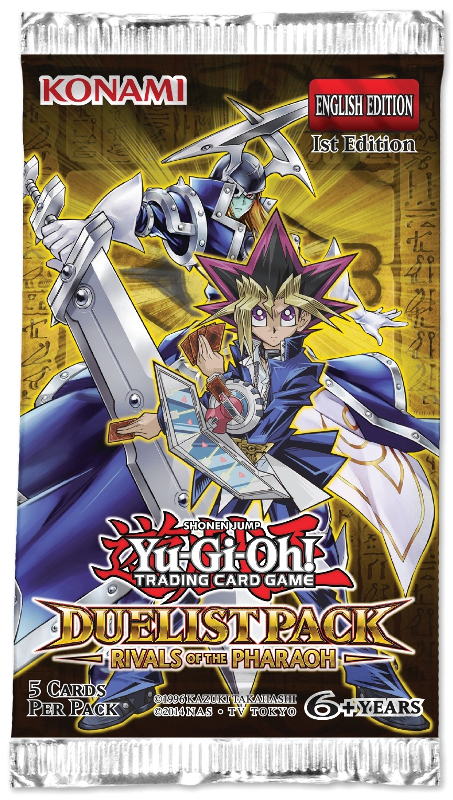 Duelist Pack: Rivals of the Pharaoh contains 11 brand-new cards, and 46 cards in all: 24 Commons, 10 Rares, 6 Super Rares, and 6 Ultra Rares. 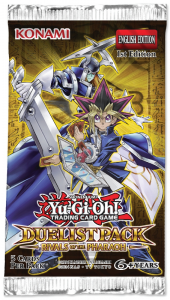 Each Duelist Pack: Rivals of the Pharaoh will be $1.99 MSRP per five-card pack at hobby retailers nationwide and mass retailers will offer a two-pack blister for $3.99. Duelists can watch a new episode of Yu-Gi-Oh! ARC-V every Sunday on Nicktoons – check local listings for times. In addition, all-new Yu-Gi-Oh! ZEXAL episodes every Tuesday as well as all of classic Yu-Gi-Oh!, Yu-Gi-Oh! GX, and Yu-Gi-Oh! 5D’s can be seen on www.yugioh.com in the United States. In Canada, Duelists can watch episodes of Yu-Gi-Oh! ARC-V every Friday and Saturday on Teletoon! For more information on KONAMI or the Yu-Gi-Oh! 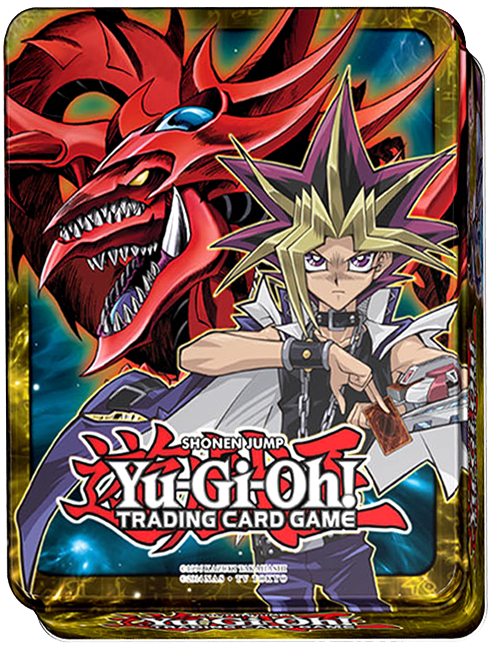 TRADING CARD GAME, please visit www.yugioh-card.com or call 310-220-8630 to speak directly with a Yu-Gi-Oh! customer support team member.